You must be a member of the Moscow Weekend Out Group to attend this activity. Would you like to join this group? 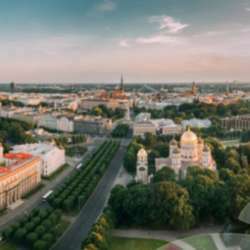 I am glad to invite you to join me for my next short weekend trip – which will be on Protected content , Protected content Riga, Latvia. The cheapest airfare for these dates is with UTair and Aeroflot. I will be flying to Riga by Aeroflot from SVO - 2. The plane starts at 13:30 from Moscow. For inexpensive housing in the very center feel free to contact me. I'll gladly give you some recommendations and guidance. Prices: Protected content per night. Shengen visa and valid travel passport for Russian nationals are a must. Riga's visit curriculum: walks in the downtown, tasting delicious national food, drinking beer, talking with the local folks, clubbing.